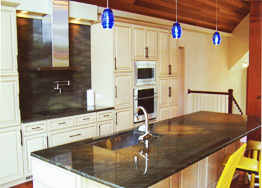 Not all stone fabricators are created equal! 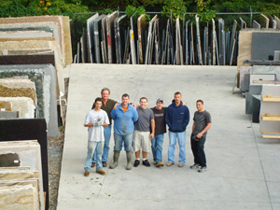 Solid Rock Company is a 30 year old family owned business and the original Southern Maryland source for natural stone countertop fabrication and remodeling in granite, marble, limestone, slate, soapstone, recycled glass (Icestone, Curava, etc) and all quartz products (Cambria, Q Quartz, Caesarstone, Silestone, Zodiaq, LG Viatera, Hanstone, etc). 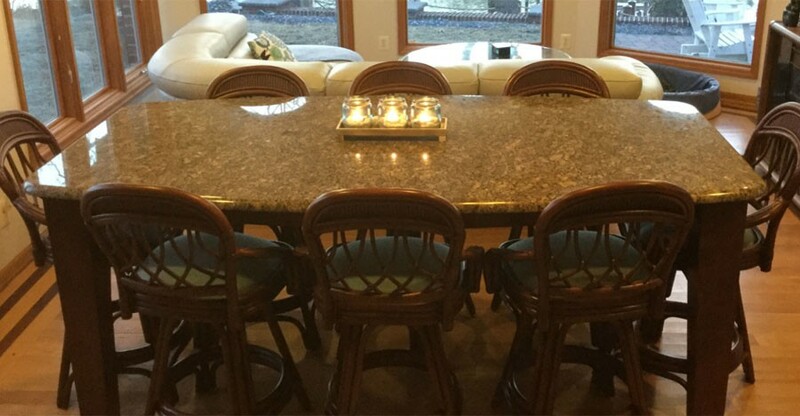 Located in La Plata Maryland, Solid Rock Company has a large inventory of beautiful materials from around the world to fabricate and install in your community in Charles County, St. Mary's County, Calvert County, Prince Georges County, Maryland King George County, Virginia and all across the DMV area. 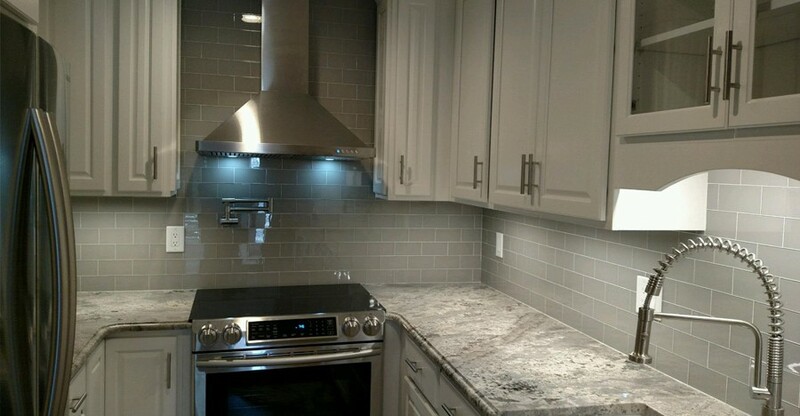 Our highly trained local craftsmen have the experience, knowledge and communication skills to help transform or improve your home, office, or business into something special. From start to finish, we will help. 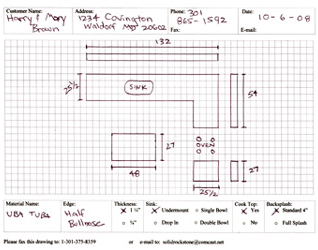 Fax, email, mail or come by with a sketch similar to the one below with the appropriate dimensions. We can quickly provide a FREE estimate. 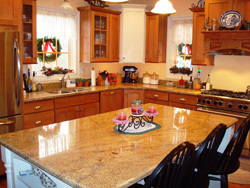 As an additional service, we can remove and dispose of your existing counter tops. 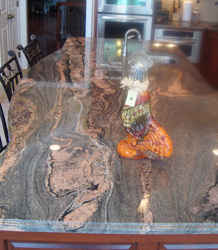 Come and select your beautiful slabs from our extensive inventory. 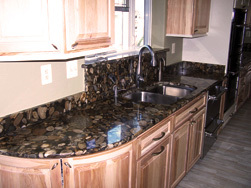 Once you have selected your material, you will also choose your edge profile and select a sink and a faucet. We have a selection of faucets as well as stainless steel and composite sinks and porcelain vanity bowls for you to choose from. If you choose to provide your own sink and faucet, you will need to have those items at your job site at the time of template. We will then take careful field measurements of your job and be back to install in approximately 1 week. 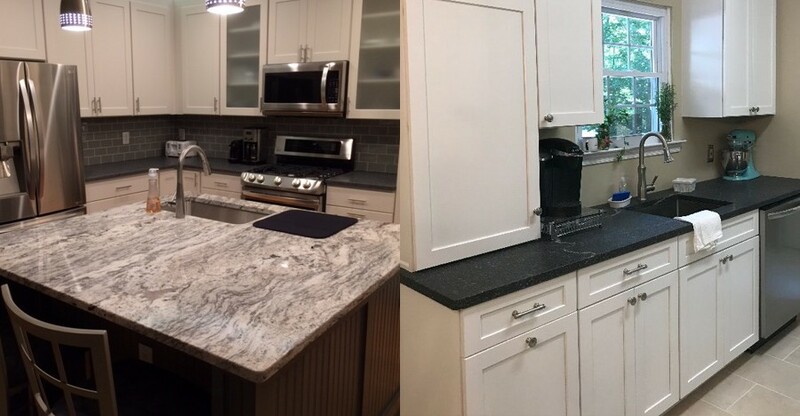 If you have existing counter tops, we can usually leave them on until we install your new ones so that you do not have to lose use of your kitchen or bathroom. Draw an outline of your kitchen (it does not have to be perfect). If your kitchen is square, make the outline square. 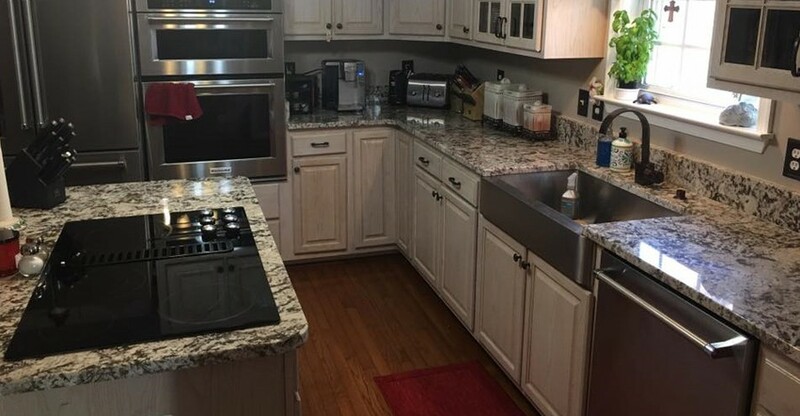 If you have a galley style kitchen, just draw two parallel lines. Remember that a scaled drawing is not the goal here. Simply put measurements in whole inches. 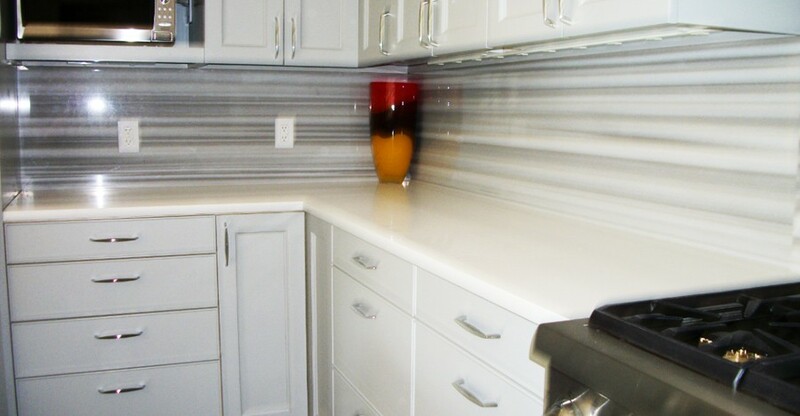 Include the height of backsplash and the width and length of any countertops. Do Not Gamble On Quality! 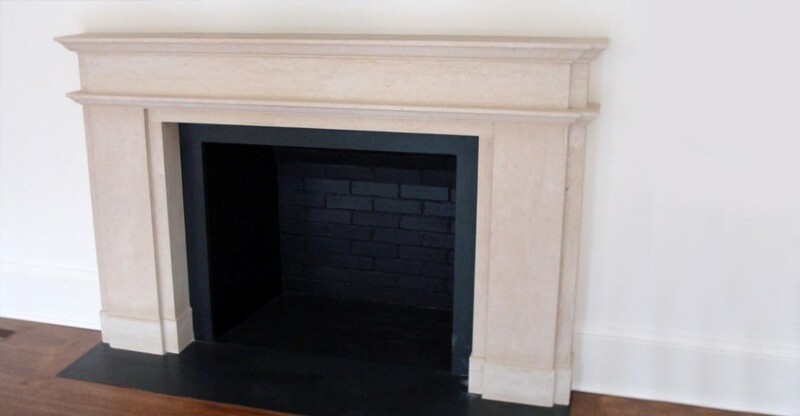 We can fabricate and install these materials for bathrooms, around fireplaces, kitchens, countertops or bath surrounds. And for thousands of your neighbors in MD DC and VA, all at competitive prices! Click Here to see our Remodeling. 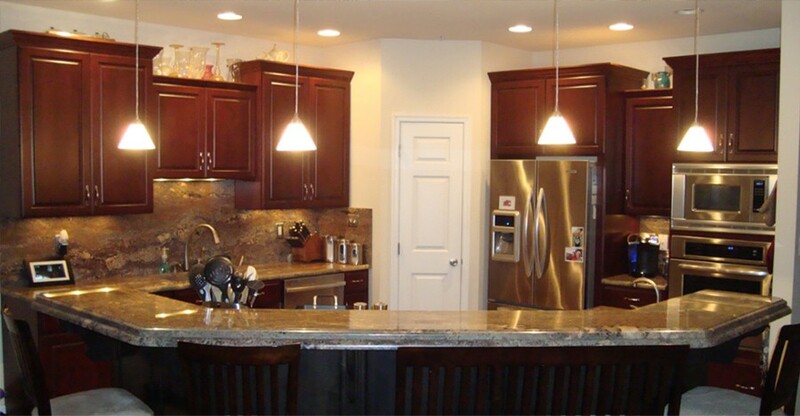 For a FREE kitchen estimate, Click Here.